We have been in operation since October 16th 2012. Our Superior Carpet Cleaning Method* *Extra time spent prespraying and agitating your traffic areas before we steam clean because the wand does not clean the carpet, it reveals how well we presprayed. we spend 40% of our time on the prespray and rake agitation before we even begin the steam cleaning with our wand. This ensures maximum dwell time. 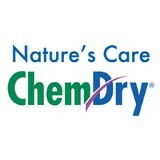 *A neutralizing rinse is the only thing we run through or wands to ensure non-residue. *2 quality checks, per area cleaned, are performed by our Master Technician. The Art Of Extreme Cleaning!! All of are employees are screened for a criminal background check. Also all employees are trained and certified professionals.We specialize in Cleaning Carpets and upholstery.We also offer Carpet Installation and repair, stripping and waxing of all hard surface floors. We also offer tile and grout cleaning. 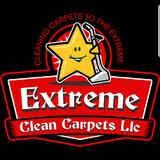 And we have a housekeeping cleaning crew that handles all cleanups be it Commercial Cleaning or Residential.When you select Extreme Clean Carpets LLC you are being serviced by one of the best companies around. We use all Truck mounted Units. Harrison Cleanup and Restoration is a leader in the restoration industry and its professionals are faster to any size disaster. 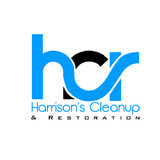 Harrison Cleanup and Restoration Professionals are available 24 hours/7 days a week and are ready to restore or clean your property. Whether you need emergency flood damage restoration or top-to-bottom home cleaning, you can trust Harrison Cleanup and Restoration Professionals to make your house feel like home again. They have the training, experience, and equipment to quickly get your home looking its best. Servicing Menomonee Falls, Germantown, Mequon, Brookfield and surrounding areas. Menomonee Falls Carpet Cleaning offers Carpet Cleaning, Furniture Cleaning, Stain Removal and Water Removal. We offer the best quality carpet cleaning available: we only use Industry Standard products, offer a convenient service, and do it all at a great price. Serving Menomonee Falls, Germantown, Mequon and surrounding communities for over 25 years, we have the experience, knowledge, and equipment to provide you with the cleanest carpets and upholstery. We offer a full range of both residential and commercial cleaning services. It is always our goal to ensure your 100% satisfaction. As a family owned business, we have a strong belief in complete customer satisfaction. We’re not satisfied until you are! We are a family owned and operated carpet cleaning company that is committed to providing the very best carpet cleaning methods at affordable prices, with the highest level of customer service. With more than 25 years of cleaning experience, we know what it takes to provide the very best cleaning service to you, on every job, every day! Our business is our livelihood but it is also so much more. Perry & Family Cleaning LLC was started to fill in a void in the current market and to make a business that people can place their trust in. Over the years we have never lost our commitment to our clients and that is what has allowed us to succeed in a very competitive industry. The employees of Perry & Family Cleaning LLC stand committed to our purpose and will provide the best service! Magikist specializes in cleaning all types of area rugs. We carefully consider the best way to handle each rug that enters our facility. We are capable of all sorts of rug repairs, such as: new binding, fringes, fixing holes, ripped corners, etc. We offer pick-up and delivery and will move all furniture necessary to remove and put back your rugs. We also sell rug pads that we will custom cut to fit your rug and its needs. Additionally, Magikist has a list of (in-home or office) services that we provide; including Carpet & Upholstery Cleaning. Tile cleaning and sealing: which includes Ceramic, Terrazzo, Travertine, Lime Stone, Terracotta Tile to name a few. Magikist also has a 24hour emergency restoration service for Fire and Water Damages Clean ups. We also have a Permanent Fabric Protection that is fantastic for high end fabrics such as silk, cotton, wool, rayon, and more, it’s most popular characteristic is that it is nearly 100% sun fade resistant on most materials. Magikist also offers a Mat rental service for commercial settings. Able Carpet Cleaners is a small family owned and operated business located in Pewaukee, WI. We have been cleaning carpets for over 10 years and proudly serve the greater Lake Country Area. We actively support our local Pewaukee Pirates as well as many other athletic teams and schools. We will always stand by our services and guaranty your satisfaction. If a spot returns, so do we. We live by the Able Standard and when you choose us, we know you won’t be disappointed. If you're looking for a carpet cleaning business in Beaver Dam, WI, you can depend on Carpet Tech. Dirt, grime, and allergens can pose health risks to you and your family, but we'd like to help alleviate such concerns. We'll provide you with professional work and stunning results. Our business is locally run, so we love to help out area residents and business owners. Customer First Carpet Cleaning in Appleton Wisconsin is a local business that's known for excellent customer service. We established our company to offer top notch cleaning solutions to our clients in Appleton and the surrounding areas. We offer professional carpet and furniture cleaning services as well as water damage restoration and more. We have many happy customers. Call 262-313-7979 for a free estimate. If you are comparing information for a cleaning company that will work for you, we are the professional cleaners you have been looking for! Beginning in 1976, A-1 Quality Steam has been providing award winning service to homeowners and commercial clients in Milwaukee Metro Wisconsin, insuring that our clients will receive fast friendly service plus the best possible clean ever. We guarantee it. A-1 Quality Steams's Superior cleaning procedures are proven the most thorough in the care of your carpet and fine furniture. Yet A-1 Quality Steam doesn't charge inflated cost characteristic of comparable quality cleaning companies. If you're considering a company worthy of your trust, allow the A-1 Quality Steam Tradition of Excellence to eliminate any worry you may have associated with choosing your cleaning company. Here at Preferred we provide the best quality residential and commercial cleaning services in southeastern Wisconsin. When you call us you are guaranteed with an amazing cleaning service that will have you hooked on our services. We take pride in our work and we will not leave your home or building without making sure that every room is done correctly and professionally. We provide cleaning services for carpets, upholstery, water damage clean-up, strip and wax floors and duct cleaning. We are also certified by The Clean Trust, formerly known as the IICRC. We service areas of Jefferson County, areas of Kenosha county, all of Milwaukee County, areas of Ozaukee County, areas of Racine County, areas of Walworth County, all of Waukesha County and areas of Washington County. Call us at 262-785-1800 to have us come and clean your home or building. What should I look for in a local Waldo carpet cleaner? Not all Waldo carpet cleaning companies use the same methods, but there are a few common things that they should do to for a quality job. Make sure they do an analysis on the area you need cleaned and recommend the best course of action — are there large stains or high-traffic areas that need extra treatment or attention? Also, make sure they provide quick drying times so that you can be back in your home faster; that means hours, not days! A good carpet cleaning service in Waldo, WI should move furniture (within reason) and put it back in place when they are all done; don't let them charge extra to do this. Another important factor to look out for is whether or not the carpet cleaners use chemicals, and if so, they should be asthma- and allergy-friendly. This is especially important for households that have children or pets. Lots of Waldo carpet cleaning services also clean rugs. Rug cleaning can involve anything from a simple wash to complete re-weaving or foundation work. Make sure the local rug cleaner you choose has experience with the types of rugs you need serviced, especially if they are hand-woven or Oriental rugs. What should I look for in a local Waldo upholstery cleaner? Upholstery comes in many more varieties than carpet and rugs, thus needs cleaning tailored to each specific blend. Even if you don’t know what material your sofa or chair is made with, a good upholstery cleaning service in Waldo, WI will be able to identify it and treat it appropriately. Some textiles require dry cleaning and that can’t be done in home, so if that’s the case, check with the upholstery cleaner and see if they offer pickup and drop off services. Leather cleaning is a bit different and often involves more restoration and conditioning than actual cleaning. Make sure the Waldo furniture cleaning service specializes in leather if you are considering them for the job. Find Waldo upholstery and carpet cleaning services on Houzz. Narrow your search in the Professionals section of the website to local carpet cleaners in Waldo, WI and read reviews and ratings to find one that fits your needs.